Over the past few months I've been enjoying the heck out of the gun you made for me. I've been using it for deeper reef and blue water and it is just awesome! I don't really have to aim it like I did my riffe. I just point it at a fish and pull the trigger and the shaft goes exactly where I want it to. It's really just a wonderful piece of art/engineering. I have taken shots that I would have never imagined I could make with my riffe. I'm still learning about landing fish with the reel. 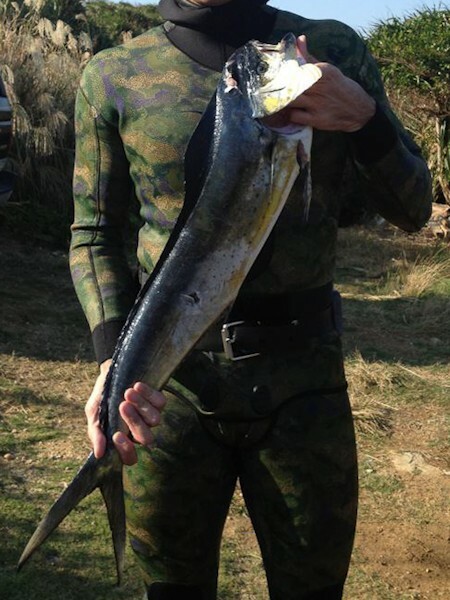 A few spanish mackerel have escaped after being shot, but I did shoot my very first Mahi a few weeks ago. Attached you'll find a couple of pictures of recent trips. 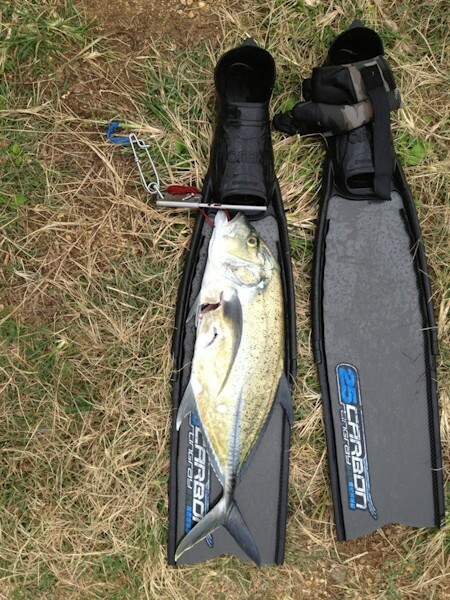 The trevally was shot at a range of about 16 feet and the entire shaft went through the fish. It was the only shot I took on that hour in the water and your gun performed when I needed it. Thank you so much for making such an awesome gun.